Mafia, yakuza, gangsters. Whatever name you use to refer to them, the fact is, organized crime rings make for pretty compelling stories. Anime is not exempt from this rule, and in fact frequently goes further in making the characters even more compelling and interesting. 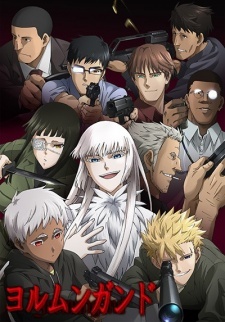 Here are 10 of the best representations of organized crime ever to hit anime. You know exactly what you’re getting into from the title. Or so you would think. Nicolas Brown and Worick Arcangelo are known as the “Handymen,” which basically means they solve “problems” for the local crime syndicates – and sometimes the police. Despite the chaos, things are more-or-less in balance between the police and the syndicate families. That is, until an unknown shadowy organization moves in and starts eliminating the “Twilights” – of which Nicolas is one. The Twilights are chemically enhanced soldiers who obtain great power (usually because they were the subjects of human biological experimentation, not because they chose it) in exchange for a shortened lifespan, and some sort of disability (Nicolas is deaf). 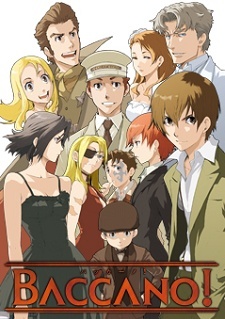 Easily one of the most unique approaches to storytelling you’ll find in anime, Baccano follows a huge cast of characters, all in different timelines, doing completely different things, and somehow manages to tie them all in together with a cohesive plotline. 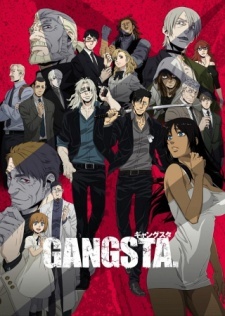 A good portion of the series is set in 1930’s Chicago, making this one of the few anime series with both a Western theme (mafia) and setting. This is a bit different as takes on organized crime rings go. This is about a travelling gang of arms dealers. Koko Hekmatyar is at the head of the organization, which travels the world evading international authorities and the CIA. Koko’s dream is to bring world peace – she just wants to do it through deterrence theory. 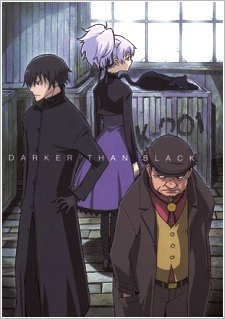 Darker than Black is undeniably pretty dark, as its name implies. While it is rooted in organized crime, this story carries more supernatural elements than most. The story centers around a near-future environment in which Gates to Heaven and Hell have appeared. The Gates themselves ignore physics and can grant supernatural powers to those who choose to become “Contractors” – provided they’re okay with giving up their humanity. Naturally, a secret organization rises to manage these superhumans – but who’s pulling the strings? Zwei wasn’t always named Zwei. He just can’t remember what his name was before that. He was a Japanese tourist visiting America, and happened to witness an assassination carried out by the infamous “Phantom,” who turns out to be a beautiful woman named Ein. A short time and one brainwashing later, he’s the mafia’s puppet, fighting to survive without even knowing why. 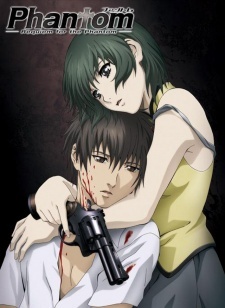 As with any amnesia-focused plotlines, Phantom has some overly convenient twists and plot holes, and it does seem like it could have developed a little more. Still, these are minor gripes in what is overall a very compelling, if somewhat by-the-numbers, show about people trying to figure out where they belong.